Noise: -90dB @ 20Hz to 20kHz. 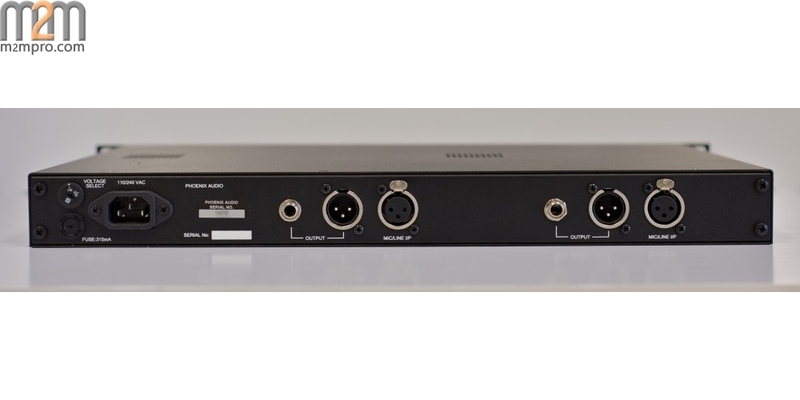 Phoenix Audio’s unique Class A, transformer-less, True balanced Mic input stage. Phoenix Audio’s custom wound output transformer. Gain Meter: LED Metering. (Green = 0dB, Yellow = +8dB, corresponding to “4” and “6” on a PPM Meter). High Pass Filter: Roll-off starts at 120Hz @ 12dB per Octave. Phoenix Audio's DRS Gyrator EQ (as found in the DRSQ4 mk2) is one of today's most unique and musical EQs, allowing an incredible variety of sounds useful for everything from clean high-headroom mix buss tone shaping to deep frequency carving to smooth Class-A circuit saturation. 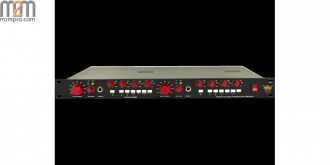 Available either as a mono 500-series module (running at 24v) or coupled to two of our remarkable Class-A DRS Mic Preamp/DIs in a stereo 1RU unit, the DRS Gyrator EQ is as powerful as it is fun to use. The Gyrator EQ was first developed during what most consider the golden age of solid-state analog audio design: the 1970s. Originally designed to emulate the characteristics of an active inductor EQ (think Neve, API), the Gyrator EQ uses a rather clever combination of an amplifier, resistors and capacitors to accomplish incredibly smooth and musical frequency modifications. The modern-day Phoenix DRS Gyrator EQ gives you High, High-Mid, Low-Mid and Low frequency bands, each notched to proven frequencies from a shimmering 15kHz on down to a thumping 40Hz. 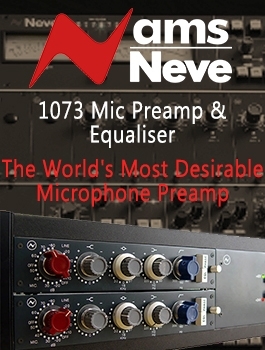 There's also a high pass filter at 80Hz, which can eliminate rumble or be used "against" low-end boosts for an extra range of unique EQ curves (think: Pultec). Even at extreme boosts and cuts, the DRS Gyrator EQ's uniquely musical filters maintain the core quality of your original signal, allowing you to make bold, gut-level EQ moves that won't sound harsh, slurred or out of phase. Used more subtly, these four filters are capable of highly coherent tone shaping suitable for full mixes and mastering. Phoenix Audio's renown DSOP-2 output amplifier, with its custom-wound transformer, is able to deliver everything from ultra-clean signals with abundant headroom to fat, fully saturated tones. By lowering the output attenuator and boosting the input signal, one can drive the DSOP-2 output stage for a wide variety of lush, Class-A saturation. Or, do the opposite—back off on the input while boosting the output—and you'll get huge, clean, hi-fi tones. Many engineers even use the DRS Gyrator EQ completely flat in order to simply add the musicality of our proprietary amplifier circuits. The DRS Gyrator EQ is a powerfully versatile, high-quality studio tool. Unlike many Class-A EQs that just do "their thing" due to inherent distortion characteristics, the DRS Gyrator EQ keeps the input signal clean, making it possible for the engineer to keep tones transparent or saturate them to taste. Importantly, doing so is effortless and intuitive due to the DRS Gyrator's straight-forward design and unerring musicality. 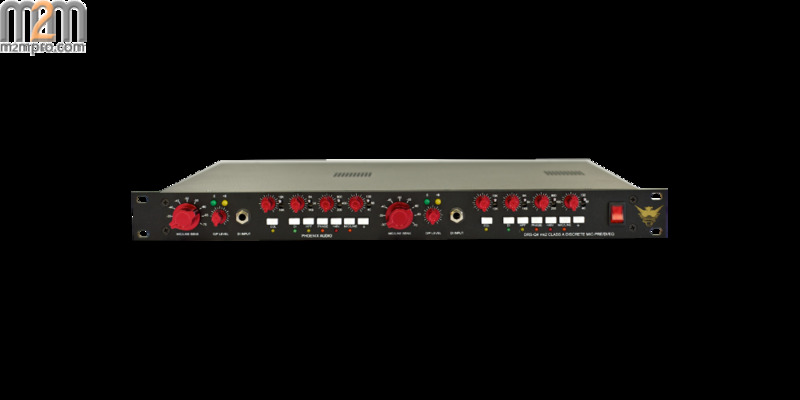 Those who own this EQ tell us that it quickly becomes their "go to EQ"—used effortlessly every day across a vast variety of instruments, voices and full mixes. DRSQ4 MKII Gyrator EQ with Preamp/DI: Stereo 1RU with our DRS Series Preamp/DI. DRSQ4M MKII Gyrator EQ with Preamp/DI: Mono 1/2RU with our DRS Series Preamp/DI. all EQ bands are stepped/detented to 21 positions for easy recall & stereo operations for mastering or the mix bus. DRS-EQ/500 has an overall output level with +15db of additional gain even while the EQ is in bypass, allowing the output fader to be used to drive the output stage & transformer to colour & saturate your sound, again even when the EQ is in bypass. (How can we not say "output" 3 times in the same sentence)? Phoenix Audio's Class-A DSOP-2 Output Amplifier with custom-wound transformer.